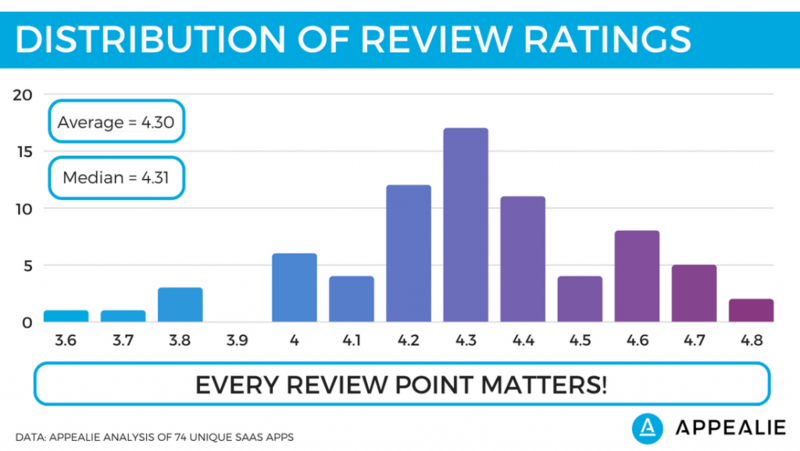 Online reviews are a critical factor in the SaaS marketplace. A Zendesk study showed 90% of software purchase decisions are influenced by reviews. 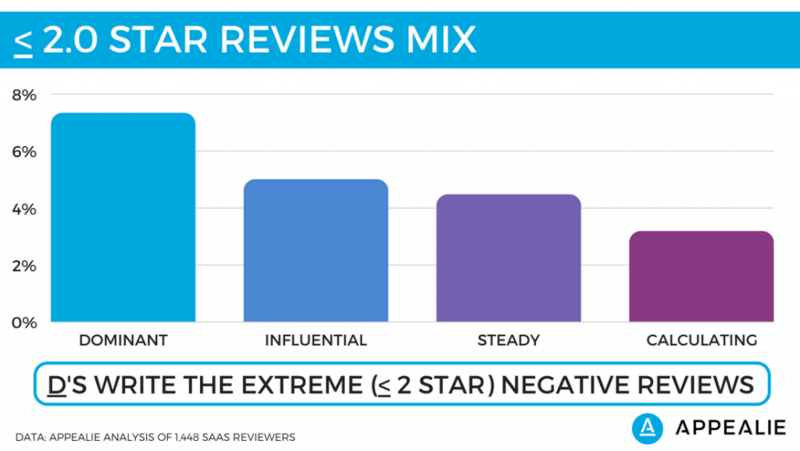 Another study showed reviews can lift your conversion rates by about 15%. However, only a small fraction of your users actually take the time to write reviews. 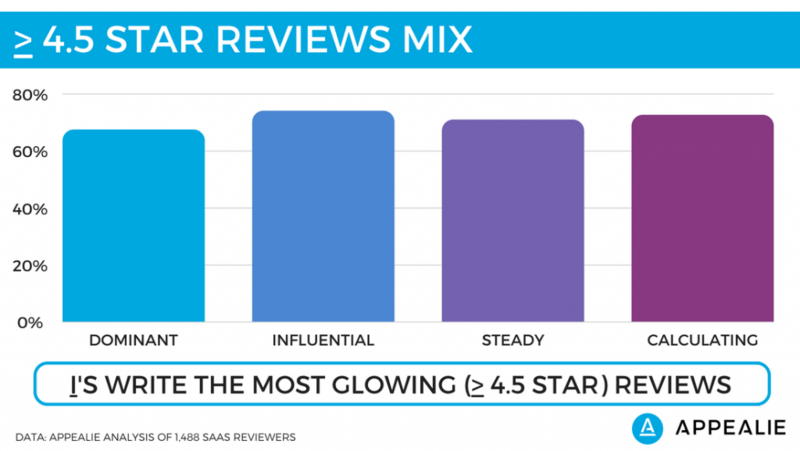 This small sample size also means targeting the right mix of reviewer personalities can be a source of untapped competitive advantage for SaaS marketers. Want to defend your SaaS reviews, change your category ranking and increase your inbound leads with a few hours of work? The APPEALIE team conducted an analysis of over 1,400 SaaS product reviews associated with an identifiable LinkedIn user profile. Using Crystal’s DISC type personality analysis software, those reviews scores were then compared against each reviewer’s DISC type. TACTICAL TAKEAWAY: Use Crystal to analyze your users’ DISC types; optimize your review outreach to avoid D’s and prioritize I’s. 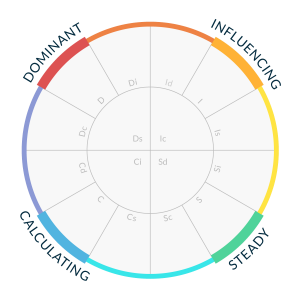 Originally conceived with Dr. William Marston’s 1928 book Emotions of Normal People, DISC is a framework to conduct behavioral assessments and categorize individuals into 4 personality types. While we provide additional resources below to learn more about DISC, let’s move onto the actionable data points for SaaS marketers. 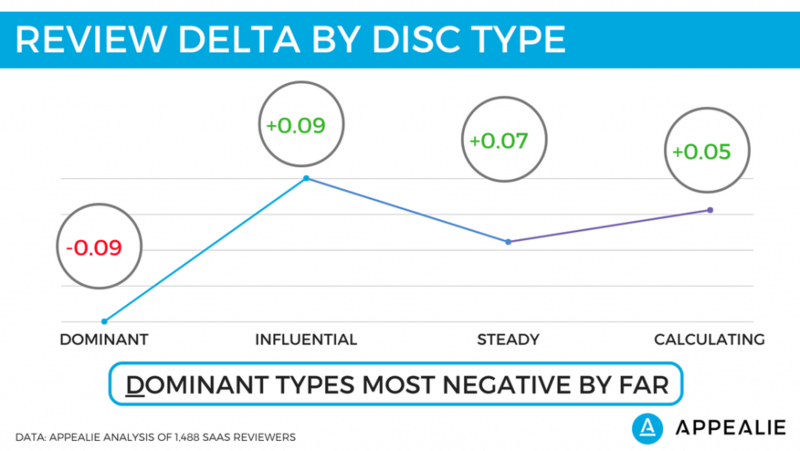 The Dominant personality type wrote by far the most negative SaaS reviews (a full 0.16 review points below the average of the I-S-C categories). 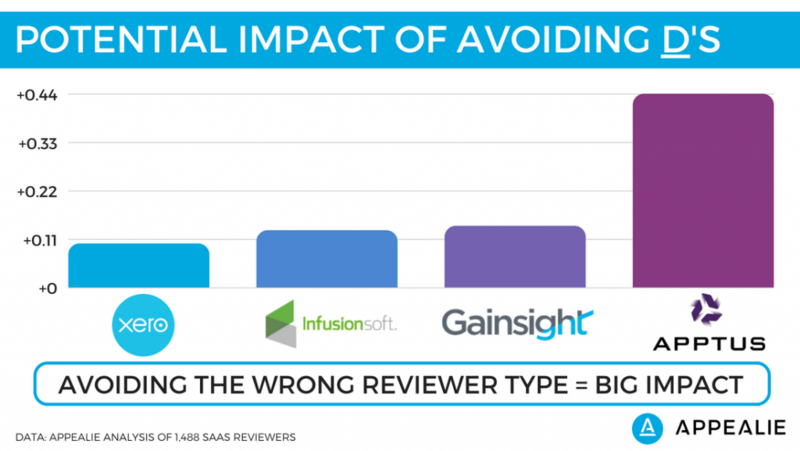 Due to their more volatile nature and unfiltered communication style, D-types were also most likely to write extremely negative reviews (2.0 stars and below) that can seriously damage your overall product rating. The lift from avoiding D’s is meaningful – a potential increase of between 0.10 and 0.44 review points. This is especially meaningful if your current review score is at a threshold level (i.e. slightly below 4.0) that a software buyer considers a floor for consideration. That increase would also translate to an improved category ranking (i.e. #7 to #2), potentially altering both your brand positioning and lead flow. A move of 0.10 rating stars to the right matters. 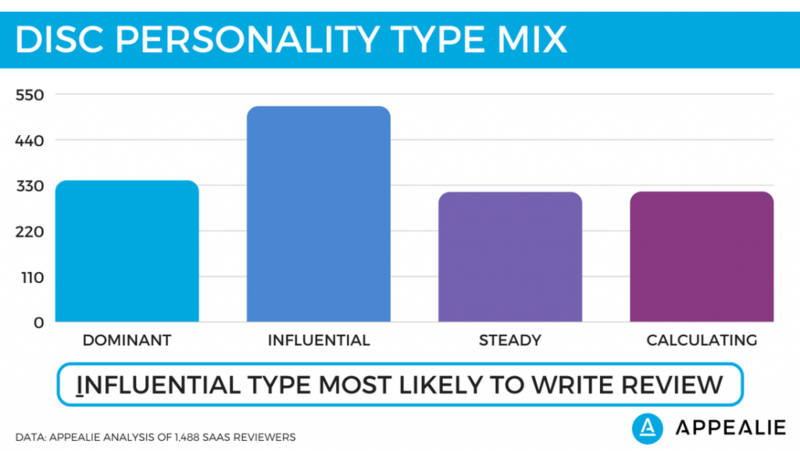 The Influential personality types were the most likely to write SaaS reviews (35% of total). To maximize your review outreach conversion rates, we recommend targeting I’s first. Yet another reason to prioritize your I-type outreach: they are also most likely to be your biggest champions that write glowing (4.5+ star) reviews. ACTIONABLE CONCLUSION: Use Crystal to analyze your users’ DISC types; optimize your review outreach to avoid D’s and prioritize I’s. Given the meaningful differences between each personality type, we recommend using a customized outreach template for each.